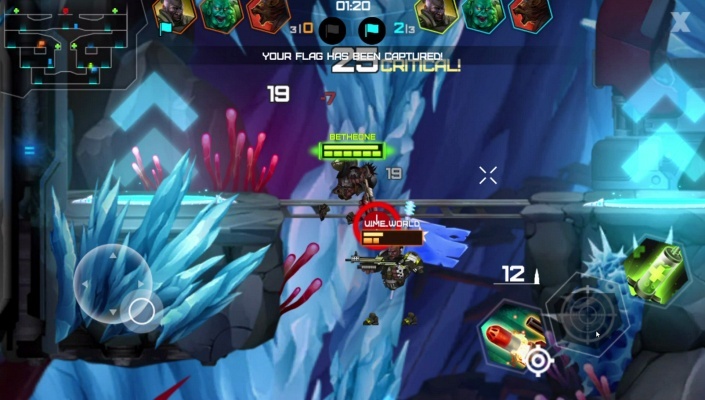 Onraid is a Free Android , Action PvP Shooter , Mobile Multiplayer MMO Game featuring intense battle modes, a varied set of character classes and cosmic visuals . 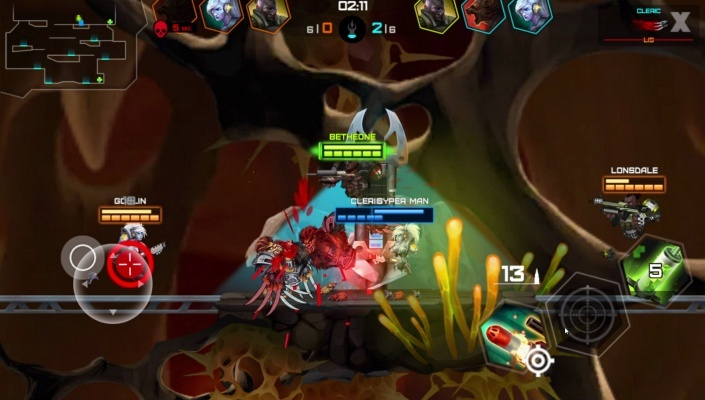 Onraid is mmo, free multiplayer 2D shooter with online PVP battle. Where you are free to develop your own play style and tactics to destroy your enemies . 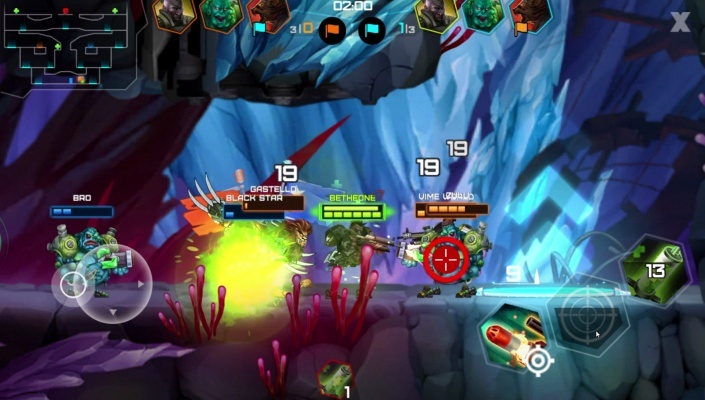 The Game offers intense battle modes, a varied set of character classes and cosmic visuals. 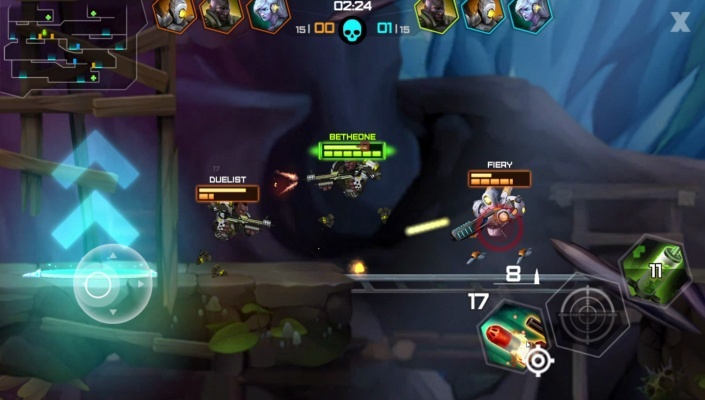 Team up with friends or strangers to strengthen your chances as you battle unknown enemies, strange bots. Use the items collected on raids to craft powerful weapons, gadgets and skins and customize your quirky character. Play for free , time to shooter Onraid ! - 10 CHARACTER CLASSES, each of which has its own strengths and weaknesses, weapons and gadgets. Tweak your character for your preferred game style . 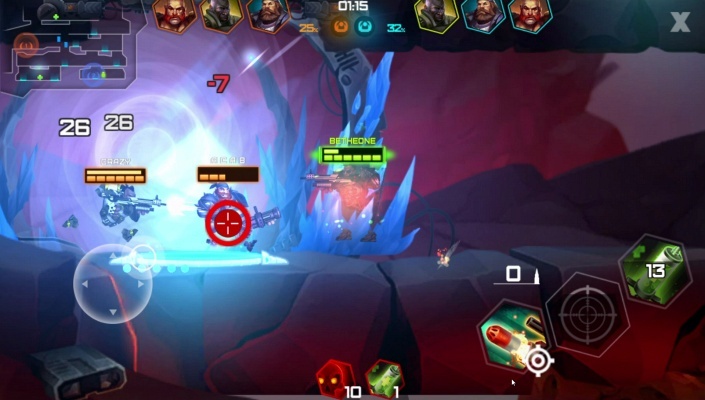 - 4 UNIQUE BATTLE MODES, each with different settings and goals . - CRAFTABLE EQUIPMENT. Collect items from raid boxes to craft different weapons, gadgets and skins, each of which has their own strengths and weaknesses. Build over 70 weapons, 90+ gadgets, and 70 skins. Customize your character in ways that can directly affect your tactics, and develop your own play style . - PVP LEAGUES. Get to the top of the rankings as an individual or as a team !